Here are six things I adore right now or have adored for a long time. Oh this woman. I learned about her when I had to write a book report in the fourth grade. Since that moment I pulled her book off the library's shelf, I have not looked back. I think as a Mexican woman myself, I admired her for her pride in the Mexican culture, which can be seen in the way she dressed and presented herself. Her artwork may be seen as disturbing or confusing, but I always found it to be so real. You do not need to explain what she is trying to express, because her emotions are on every canvas. I have been lucky enough to even visit her old home in Mexico City, La Casa Azul, which serves as a museum today. 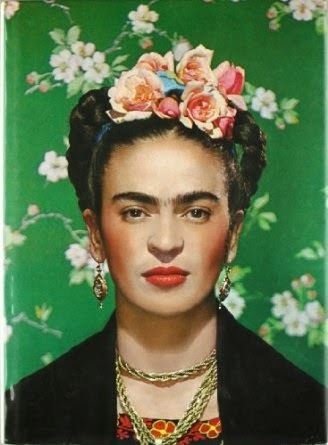 Frida, I have and will always say you are the one famous person I wish I could meet. This is not only something I adore, it is something I am obsessed with. I am not ashamed of that. These beautiful giants are actually not my favorite animal...but they slowly are starting to become my favorite. My room is currently decorated with a large elephant poster, accompanied by a small elephant poster, elephant "piggy" bank, and two elephant mini artworks. Current life dream: hug a baby elephant. I would say this is something I would not like to pursue as a profession, but rather, for leisure. I just love getting behind the camera and taking really great shots. I think it also has to do with my bossy tendencies, so I like telling people how to pose or where to stand. Not only that, I like finding the right angles to get a different perspective of a monument or object. I saw this film by chance one day last summer. I was having a movie marathon (by myself) and had watched The Perks of being a Wallflower and Broken, both of which I had cried watching. I decided to watch a third film on Netflix to top off the day and it was this beautiful Italian film. I cried, of course. I think it is safe to say it is one of my favorite films because it is a film about loving films, but it is much deeper than that. Sorry for the horrible synopsis, but it is on my list of things I adore, so it must be good. These are by far one of my favorite fruits. Not only the way the taste, but the way they look and smell. I love the bright red color, but I love even more what they taste like with whip cream or inside of a crepe.